Just a quick post to say that it is the last week of the RB Kitaj exhibition at the Jewish Museum in London. This is part of the Obsessions exhibition which previously showed at the Jewish Museum in Berlin. The other part is showing at the Pallant Gallery in Chichester and also finishes on the 16th June. I saw the London exhibition a couple of weeks ago and, although it is relatively small, it is well worth the trip out to Camden to see work by a man who attended art school alongside Caulfield, Hockney and Blake, and was friends with Bacon, Auerbach and Freud. 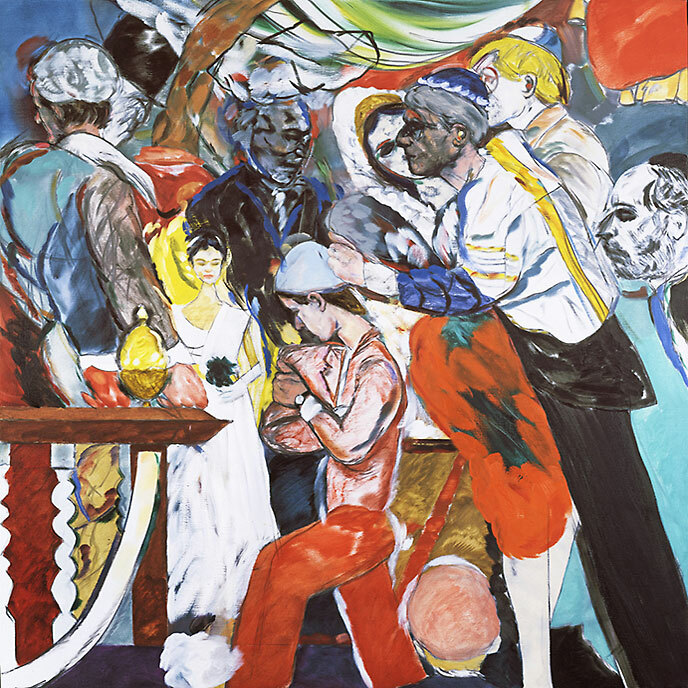 The museum has prepared a Kitaj Trail leaflet which contains informative links between the Kitaj works and other exhibits in the museum. The good weather has come just in time for the Teignmouth Folk Festival which runs from 21st to 23rd June. The programme of over a dozen performers is now available on the Festival website and tickets can also be obtained in advance from there. The Festival is in its 15th year and usually has something for everyone, with Morris dancers and a number of free events, in addition to the the bigger acts in the main venues.